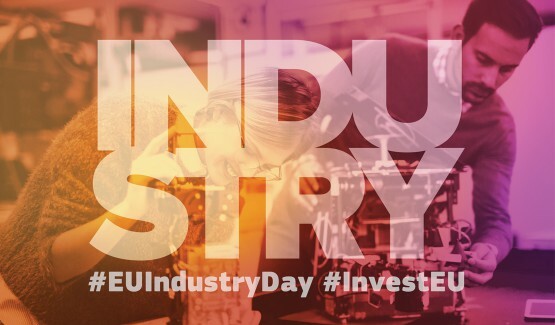 Our findings from a pan-European survey reveal that current lighting in the workplace is not satisfying end-users and their needs, while at the same time it has a big impact on productivity and human well being. 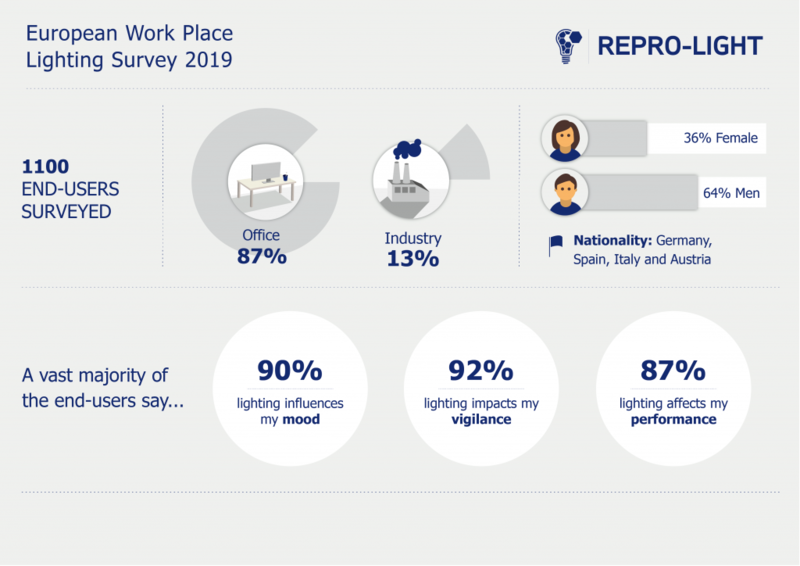 The survey, we conducted as part of the Repro-light project, engaged with 1100 workers across Germany, Spain, Italy and Austria. Participants were asked to consider their working environment’s lighting and what changes they would like to see that could improve their productivity, mood, and performance. 56% of end users said they would like the better work place lighting. An astonishingly high level as workspace lighting should follow a strict lighting design code (e.g. EN. 12464-1), which guarantees, for instance, that a certain level of brightness is reached in a workplace. The survey showed, that the individual requirements for the lighting differ, showing that personalisable lighting is needed to satisfy all the users. 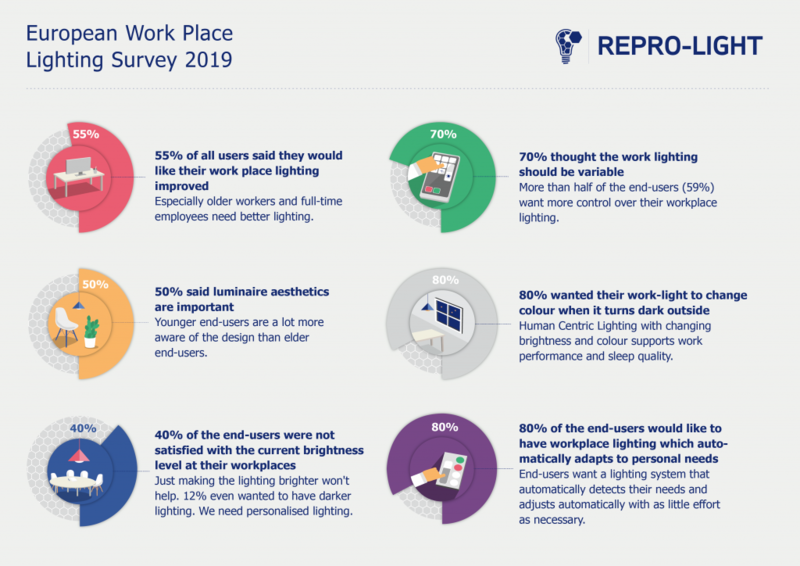 The results go to show that women significantly more often encouraged an improvement in workplace lighting, and the workers over 50 showed a greater desire for improvement of work place lighting.